If ginger fighter-pilots aren't really your cup of tea, there may be a way other than marrying Prince Harry to become the aunt of England's future king. Plan B is Princess Kate's stylishly-bearded brother James Middleton, whose bound to be more up your alley if you're into the whole hip Deadwood look. 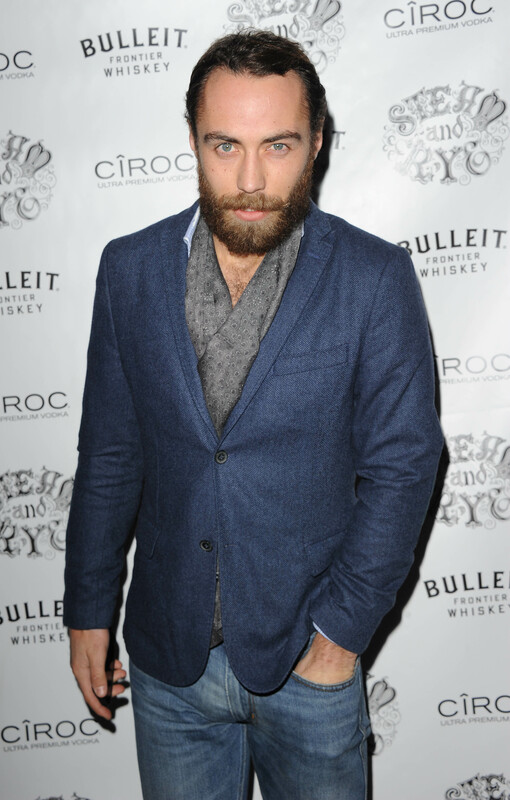 So... drumroll please... is James Middleton single? As a royal in-law who loves kids and makes candy dreams come true for a living, I'd be pretty surprised if someone hasn't put him on lock already. Here are the fundamentals about James: He's 27-years old, and has a high-ranking job in the cutthroat candy business. As Christina Aguilera would say, "he's a sweet-talkin' sugar-coated candy man." He calls himself the CEO/"Wonka-in-Chief" of his own marshmallow company called Boomf Marshmallows. Know what this means? Whoever becomes Mrs. Wonka-in-Chief will successfully secure free s'more ingredients for life. SCORE! I just want to be the best uncle possible. Like any uncle wants to be, I want to be the cool uncle. The fun uncle… That’s what sort of I’ll always try and be. I think we were all prepared for this one. Middleton appears to be in a serious relationship. Aw, shucks. According to The Daily Mail, Middleton has been dating 33-year-old TV presenter Donna Air since February 2013. Air has been married twice before (once to John Dorrance IV, heir to the Campbell's soup fortune, and again to Sam Goldstone, a British millionaire), has a 10-year-old daughter, and the tabloids claim that people derisively refer to her as a "single mother from Newcastle." Unfazed by the haters, the couple still appears to be going strong. As recently as August of this year, the couple went on a family vacation with Air's daughter Freya. So, while the couple hasn't confirmed their relationship publicly, think we can safely assume that things are indeed serious. Welp, you can't win 'em all, guys.